The Cappadocian Region located in the center of the Anatolian Region of Turkey, with its valley, canyon, hills and unusual rock formation created as a result of the eroding rains and winds of thousands of years of the level, lava-covered plain located between the volcanic mountains Erciyes, Melendiz and Hasan as well as its troglodyte dwellings carved out of the rock and cities dug out into underground, presents an otherworldly appearance. 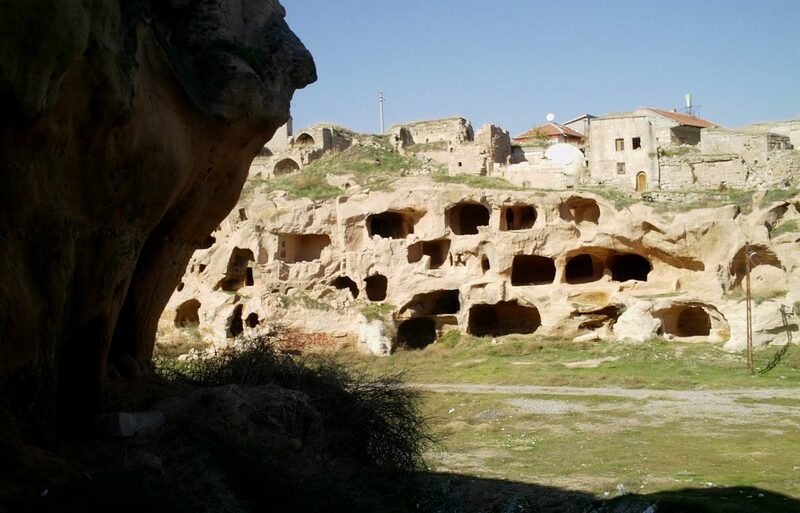 Derinkuyu Underground City is an ancient multi-level underground city of the Median Empire in the Derinkuyu district in Nevşehir Province, Turkey. Kaymaklı Underground City is contained within the citadel of Kaymaklı in the Central Anatolia Region of Turkey.